Traditional NGOs have well-established communications strategies but they too are fighting to keep up with the times. Emma Leung, head of communications at WWF discusses how the organisation combats challenges posed by the decline of traditional channels, which is a strength of well-established NGOs, and the growing need to develop digital communications channels. 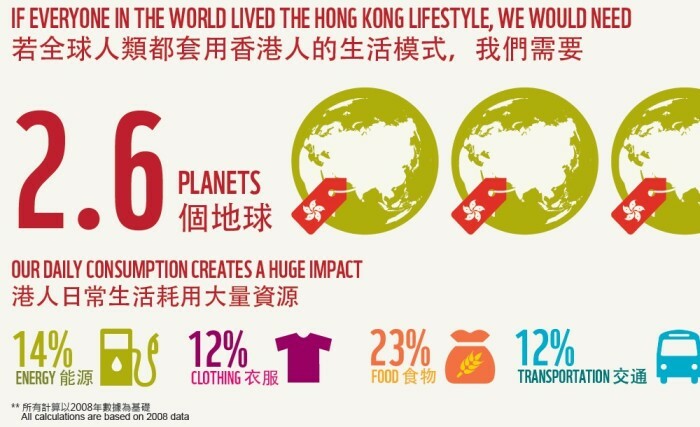 WWF runs five centres in Hong Kong and has over 45,000 Facebook fans. Its website visitor base and electronic newsletter subscriber base are both larger than its Facebook fan base. The other problem is the declining share of WWF’s voice in traditional channels such as traditional media and websites compared to five years ago. While the idea of environmental conservation and protection was fashionable five to 10 years ago, many new and aggressive eNGOs have entered the scene. She adds that the NGO aims to leverage its long history and tradition to optimise and synchronise cross-channel communications. Putting more emphasis on global initiatives rather than just local ones will also become a part of the organisation’s future communications strategy. Below are some ways in which WWF is using to convey messages through digital channels as a traditional NGO. They can be applied to corporate social responsibility campaigns or to any organisation looking to up the ante of its digital communications strategy. WWF adopts an expert-based rather than a seniority-oriented approach to its spokesperson policy. “Our media spokespeople are not based on ranking. We have spokespeople who are of officer grade, many of whom are technical experts and possess in-depth knowledge in their respective fields,” Leung said. The WWF Hong Kong team also use testimonials and staff videos to tell stories of environmental conservation from a more human perspective, giving credit to the organisation’s experts and employees. To explore user-generated content, WWF began asking Facebook fans to suggest slogans and tag lines for projects, and to post content about panda-themed merchandise items, doubling as user engagement. Another form of user-generated content is that produced by the organisation’s staff members, such as videos of visits to corporate clients or of internal staff activities. 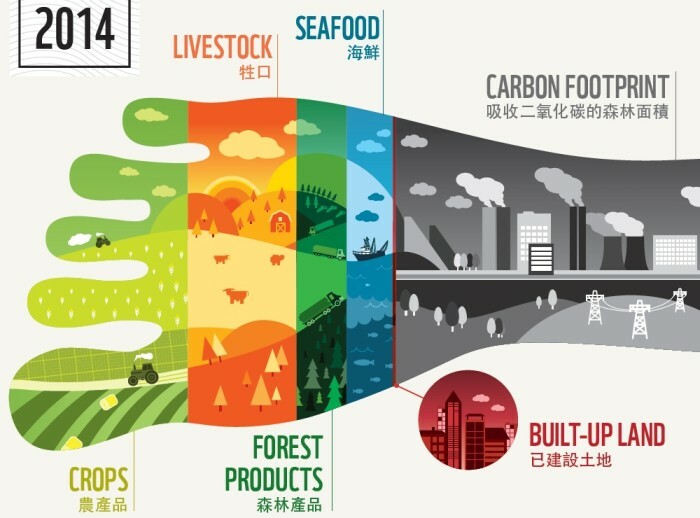 For example, WWF Hong Kong launched a guide to sustainable and unsustainable seafood in a city where people are very concerned about the food that they eat. 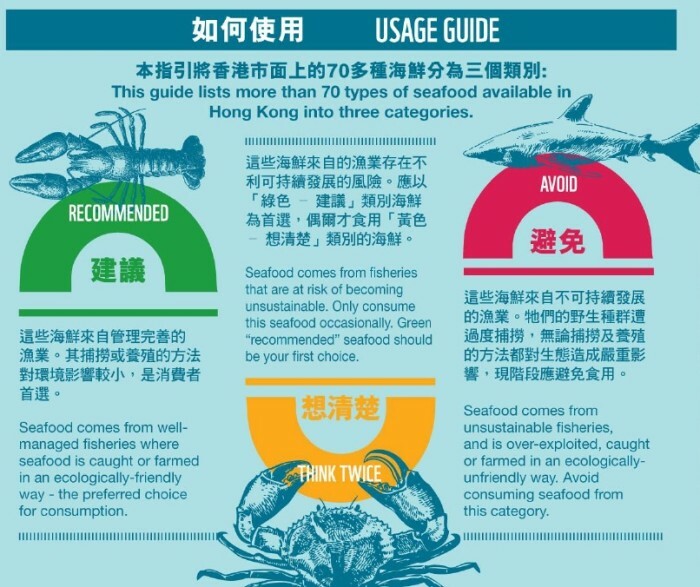 The guide served as an entry point into communicating the importance of purchasing sustainable seafood to the public and garnered media exposure such as being featured on the front page of newspaper Apple Daily. Any organisation hoping to stir up a buzz about a certain issue may be tempted to use the most attention-grabbing images. But in the case of appealing for environmental conservation, the need to steer away from sensational appeals can present a dilemma for NGOs who may need exactly such a buzz in its communications strategy. “The conservation issues we are concerned about are complicated and grounded in scientific evidence, whereas our stakeholders are mostly ordinary people. Historically, we used to be too science-based and our content used to be very text-heavy,” Leung said. Since protection of endangered species is one of WWF’s priorities, the organisation can harness the impact of species-related visuals, says Leung. But it is very challenging to convey messages around more abstract topics such as environmental footprint and climate change. That’s why WWF began using infographics to convey core messages and concepts contained in its long and detailed reports which may use lots of academic jargon. The infographics can also be used in content marketing campaigns on social media channels. 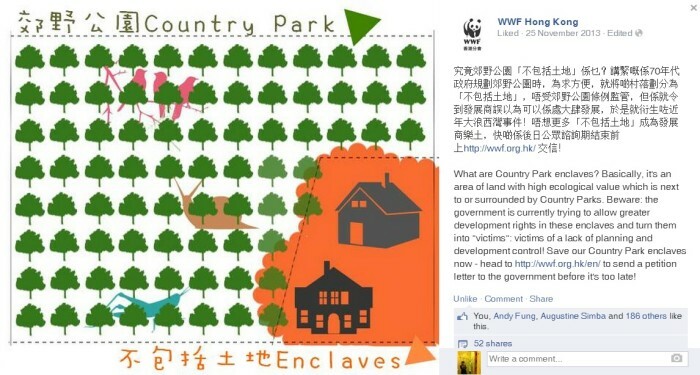 For example, WWF developed an infographic explaining the concept of a country park enclave and posted it onto Facebook to promote an online petition. “Many people know what a country park is but what about a country park enclave? There are 77 enclaves in Hong Kong and some of these have been deliberately damaged or destroyed to prevent conservation,” Leung said. American fashion brand Urban Outfitters markets its first store in Asia by employing a marketing strategy that targets individuali..